Mark Coughlan and his team of Personal Trainers are acknowledged as the most experienced and sought after in Surrey and beyond. They are all lead instructors at SFC group fitness classes and also offer Personal Training sessions throughout Surrey. If you are interested in one to one or small group Personal Training sessions, get in touch! 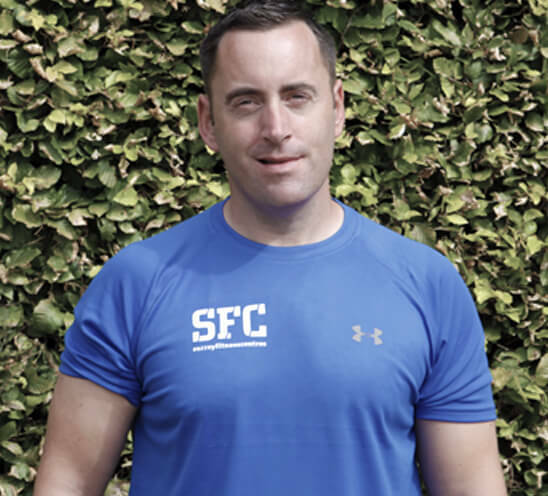 Mark is the brawn and brains behind Surrey Fitness Centres and is regarded as one of the leading Personal Trainers in the South East. Before seeing the light and moving to Surrey, Mark sweated and toiled as a Personal Trainer throughout London. Vastly experienced, he has over 14 years as a Fitness expert. As well as running Surrey Fitness Centres, Mark is very much in-demand as a Personal fitness trainer and his client base includes professional athletes and sports teams, as well as a range of individual clients. He specialises in intense training sessions and interval based conditioning and delivers great results. Mark provides one to one and small group Personal Training sessions in the Guildford, Godalming and Cranleigh areas including all surrounding areas. Find out more information on our Personal Training services and get in touch to book a free consultation with Mark! Kirsty is a very experienced fitness professional having worked for many years at David Lloyd where she worked as a Personal Trainer, headed up their Nutrition Education courses and was teaching Body Pump and Kettlebell classes. 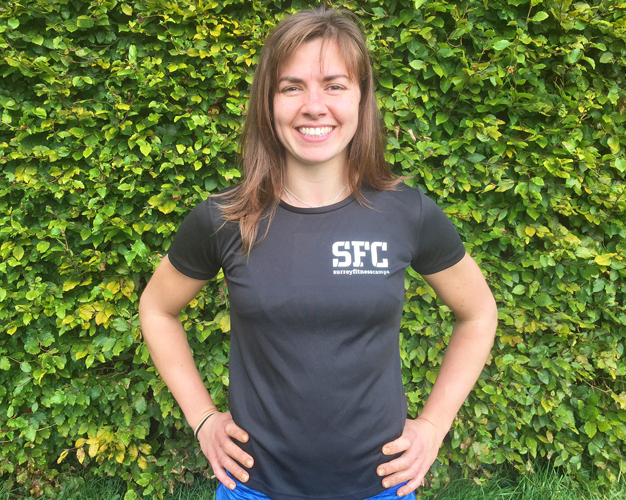 Kirsty will be lead Instructor on two brand new classes coming to SFC in Godalming, Haslemere and Guildford. As a master Kettlebell and TRX Instructor Kirsty will be teaching our new ‘Fusion’ classes – a Kettlebell focussed class mixed with TRX, HIIT style training and bodyweight exercises. The second class will be ‘Buggy Boot Camp’ – classes for news mums without childcare the perfect excuse to get back to exercising and keep fit in a fun, relaxed environment with other mums and babies! Kirsty is addicted to Obstacle course races and will be organising a big group of Surrey Fitness Centres members to sign up and train for the Muscle Arch event later this year then Tough Mudder in March next year! Kirsty provides one to one and small group Personal Training sessions in the Guildford, Godalming, Haslemere and Cranleigh areas including all surrounding areas. Guy is an experienced trainer with a wealth of knowledge which he has built up over the years training a wide range of clients of all ages and abilities. Guy is a massively in-demand Personal Trainer with a large client based currently Personal Training in the Guildford, Lightwater and Windlesham area, so luring him to work for Surrey Fitness Centres is a real coup! Guy has achieved astonishing results for many members uses different training methods. He has an ability to read the clients and push them to their maximum potential all while ensuring they’re working to achieve maximum results. Guy joins Surrey Fitness Centres and will teaching a variety of classes from Boot Camps to new HIIT and strength based classes that he will be doing. Guy will head up our new classes in the Guildford area that will include Boot Camps, off-road sessions at Newlands Corner and Personal Training. You will also see Guy at all our locations where he will also be teaching classes and PT Blitz sessions in Farnham and Godalming. 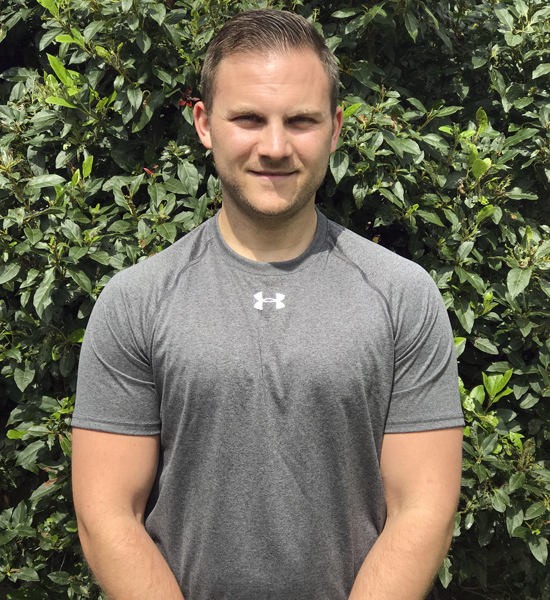 Guy provides one to one and small group Personal Training sessions in the Godalming, Haslemere, Woking, Farnham and Guildford areas including all surrounding areas. Find out more information on our Personal Training services and get in touch to book a free consultation with Guy.